Korean Food Documentary Part II by YTV America is finally up on my youtube channel! The whole piece is 30 min long so I edited it down to 8 min or so, (showing mainly my interview, haha) – hope you’ll watch it!! Also at the end of the video, I have included a video of Jonathan Gold, an LA Times food critic who was the first one to receive a Pulitzer prize as a food critic in 2007. He has some really spot-on observations about Korean food. Besides the video, I also wanted to share some survey results that YTV America did on Korean food. At the beginning of the full documentary, they include some survey results that are pretty interesting so I will share them here. 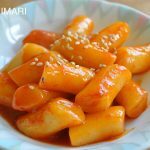 Korean Food Documentary Survey about Korean Food of 100 people found near Korean restaurants in LA. 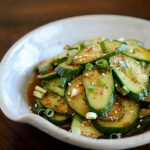 Favorite dishes between Americans (non-Koreans) in general and Asian Americans differ quite a bit. Tteokbokki 떡뽁이, Kimbap 김밥 and Jjajangmyeon 짜장면. Korean BBQ, Kimchi Jjigae 김치찌게, Bulgogi 불고기, Bibimbap 비빔밥, Japchae 잡채 and Kimchi 김치. Surprisingly, Seolleongtang 설렁탕, Samgyetang 삼계탕 and Dak Bokkeumtang 닭볶음탕 were also pretty popular. 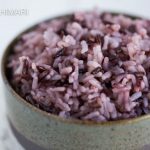 What do you find most difficult about Korean cooking? WOW – I was SO EXCITED when I saw this!!! 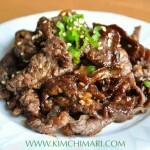 I was so HAPPY that I HAVE already written posts about Korean Ingredients, Meat (Beef and Pork) Cuts, and Sauces!!! If you were struggling with similar issues, I hope they will be helpful to you in some way. 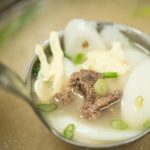 What is your image of Korean Food? 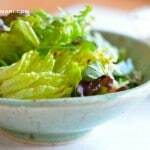 or What is Korean Food like? and then some answered Complex, Nutty and Garlicky. 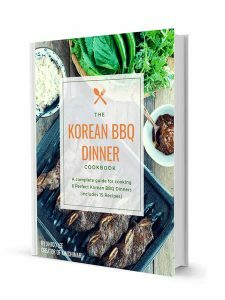 I was kind of sad to hear that fewer people thought Korean food was complex. 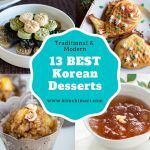 Yes, Korean food is sometimes spicy; yes, Korean food is sometimes salty; yes, also sweet and boiling hot – but only SOMETIMES…To me most of all, Korean food has such a depth of flavor that is complex but also delicate when properly prepared. 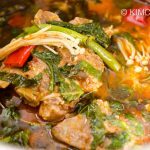 Korean food can also be the most simply prepared dishes that let’s the ingredient shine through like namul. 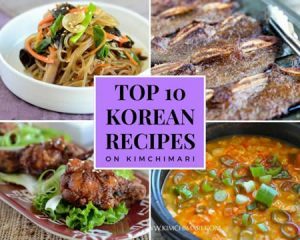 So I am now excited, more then ever, to continue my blog to share more authentic Korean recipes including the informational posts that can help you understand Korean cooking better. 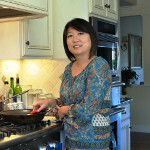 If you have any requests on future informational posts or recipes, I would LOVE to hear about them!! Awesome video! I loved hearing how you got started on your blog. You are truly artistic with your presentation of ingredients and dishes. Your instructions make it easy to try new things. And of course I love the additional cultural information and stories. I actually made an egg roll the other day and my 34 year old daughter loved it! Little did I know that when I started watching k-drama a couple of years ago that I would be introduced to and end up loving Korean food!!! Thank you!! !